Staff photo by Emmy Errante. 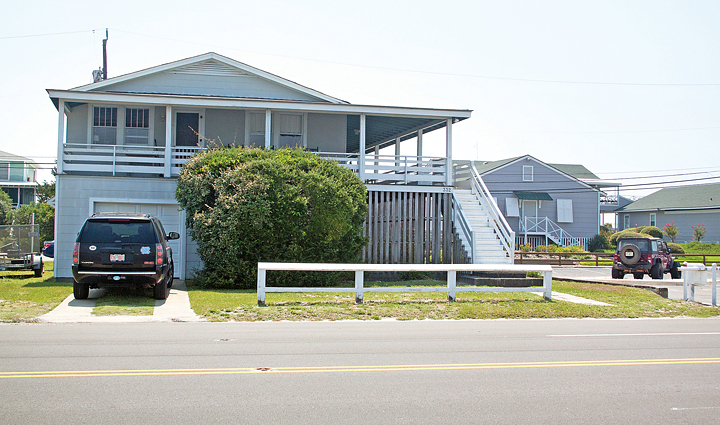 The New Hanover County Tax Office recently sent a letter to the Carolina Yacht Club to enforce the room occupancy tax on rental cottages owned by the club for member use. New Hanover County tax officials said they are taking efforts to enforce the room occupancy tax, including sending a letter to the Carolina Yacht Club, which the county tax department said this week it believes is in violation. “They need to start complying,” county tax administrator Roger Kelley said this week. The club has at least three rental units available to members for friends and family to stay. The county could potentially have up to five years of back revenue it could collect from the club, although Kelley said he expects the yacht club will claim it was exempt because it only rents its beach houses to members. The Carolina Yacht Club did not respond to multiple requests for comment. Kelley said the Hanover Seaside Club reports the amount it collects in rentals. The cost to complete Wrightsville’s beach renourishment — now called coastal storm damage reduction — is split among federal, state and local contributions. The federal government pays 65 percent of approved sand replenishment programs, and the remaining 35 percent is split by the state and a pool of room occupancy tax collections dedicated to beach strand renourishment, known as the sand fund. Managed by the New Hanover County Tourism Development Authority, ROT is split into two different pots of money. Sixty percent of the first 3 percent of ROT funds collected by the beach towns goes toward beach nourishment. The Tourism Development Authority uses the remaining 40 percent for marketing and advertising. One-half of the second 3 percent of room tax funds must be used to promote travel and tourism and one-half can be used for tourism-related purposes. Wrightsville Beach, like the other beach towns in New Hanover County, relies on the room tax levied on temporary stays in rental properties and hotels to pay for sand replentishment and to pay for lifeguards and other services like public bathrooms that are tourism related. 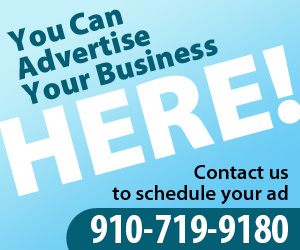 Collection of occupancy tax on rentals is enforced by the New Hanover County tax office. Kelley said as of year-end June 2015 the tax office had collected about $10.3 million. The county’s room occupancy tax is 6 percent on any short-term rental, which includes stays of less than 90 days in a hotel, motel, beach house, condo or corporate apartment. Advertisements indicate a six-bedroom beach house can rent for $5,000-$10,000 per week during peak summer weeks. New Hanover County Chief Financial Officer Lisa Wurtzbacher said the room occupancy tax is self-reporting, so it’s the landlord’s obligation to accurately report the tax. Potential untapped sources of room occupancy tax revenue are online rental companies. The county has an ad hoc method of investigating compliance with the tax law, Kelley said. An investigator will periodically browse popular online rental sites like VRBO, Expedia and AirBnB to see if the rental is charging and collecting the tax. Many times, these online rentals like VRBO are managed through a Realtor or rental company that is aware and collects and pays the tax. Wrightsville Beach Alderman Hank Miller Jr. said many people renting out rooms for vacation rentals and not paying the tax are probably simply unaware of it. “I’d be that guy that didn’t know,” Miller said. The county often receives late tax submissions and assesses late filing fees, Wurtzbacher said. Violations of the room occupancy tax are often discovered through citizen tips, and not audits, Kelley said. Wrightsville Beach Mayor Bill Blair said the room occupancy tax is vital for maintaining the features that attract visitors to Wrightsville Beach, especially beach renourishment every four years. Against a day when federal funding dries up, Wrightsville Beach has been putting aside revenue accrued by increased parking meter rates into a sand fund for emergency renourishment costs. The town has more than $1 million in a savings fund socked away; estimating by 2018 it would, if necessary, be able to pay its 17.5 percent share of a beach renourishment project. The 2014 Wrightsville Beach storm damage mitigation cost between $8 and $9 million. Copyright 2015 Lumina News. All rights reserved. This material may not be published, broadcast, rewritten or redistributed.